His wife bought him a book about pork two years ago and he said he would have a go and what you know, he’s a dab hand! 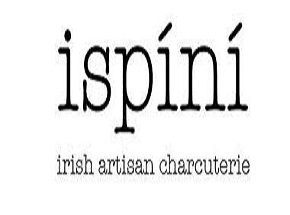 It just so happened there was a food business show in Loughry College soon afterwards so he availed of an Invest NI Innovation voucher and Ispini Charcuterie was born. He has since qualified in Charcuterie Production from the prestigious School of Artisan Food in Nottingham.